Often, people looking out for a new smartphone want a feel of it before committing to a purchase. We don’t blame them, considering that flagship devices often cost a lot. 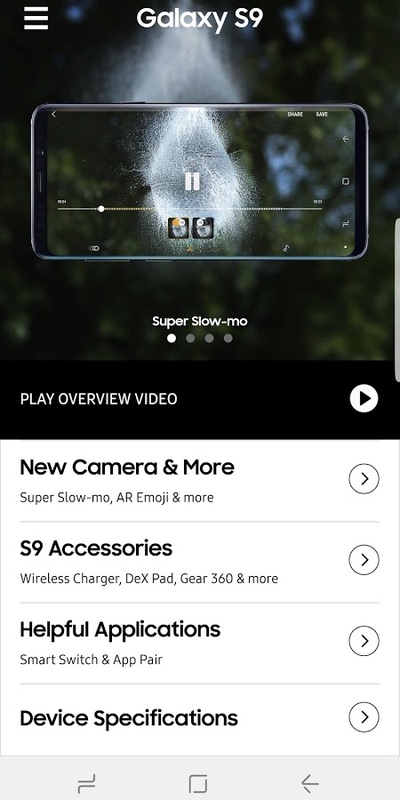 For anyone considering to buy the Samsung Galaxy S9 or S9+, Samsung has created an app that lets you relive the experience. There exist third-party solutions that offer similar results, but we all know better than to download apps from shady developers. 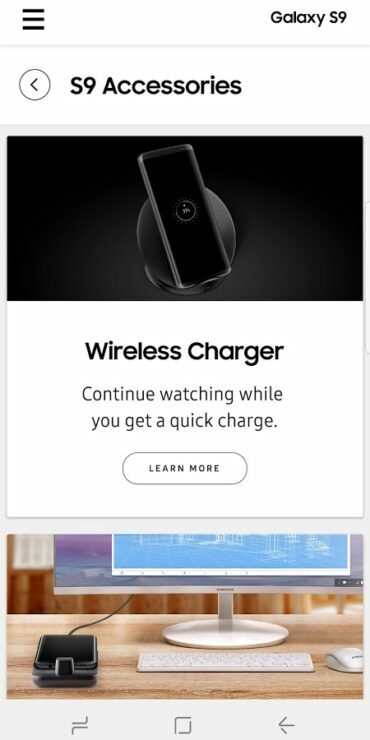 The app is called Experience app for Galaxy S9/S9+ and it does what the name suggests. You won’t be able to emulate the devices 100 percent, but you’ll get a fair idea about the device, at the least. It can be downloaded on most Android phones (Marshmallow 6.0 and up), and it gives you a sense of what it would be like to own Samsung’s latest flagship. 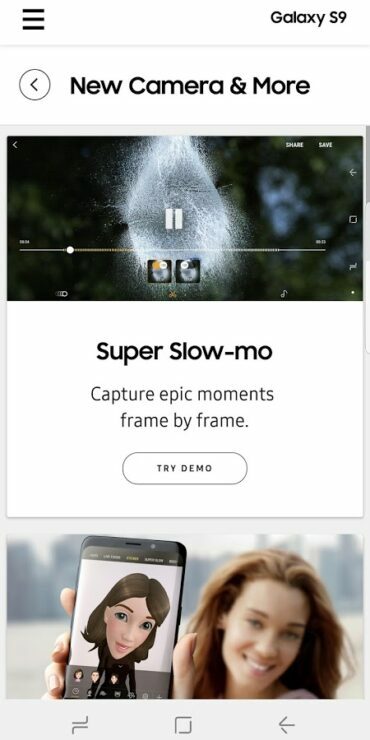 Samsung did the same thing for Note8, and similarly, this new app has several videos that elaborate several key features of the devices. The app is divided into four sections, which are as follows. New Camera & More which has demos for the super slow-mo camera, AR Emoji, and other new features the camera brings. S9 Accessories offers more information about potentially useful first-party peripherals. 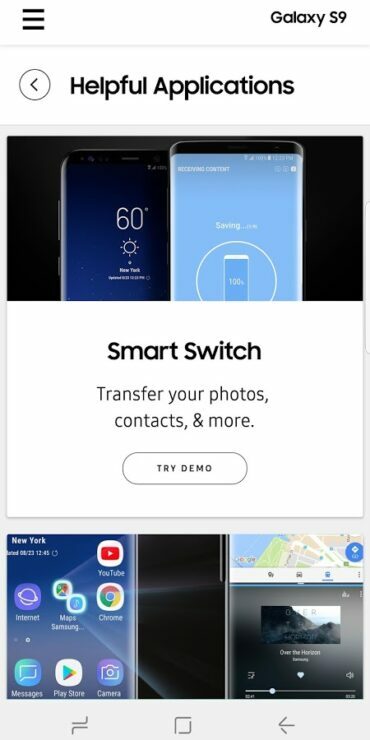 Helpful Applications has demos for Samsung’s Smart Switch and App Pair utilities. 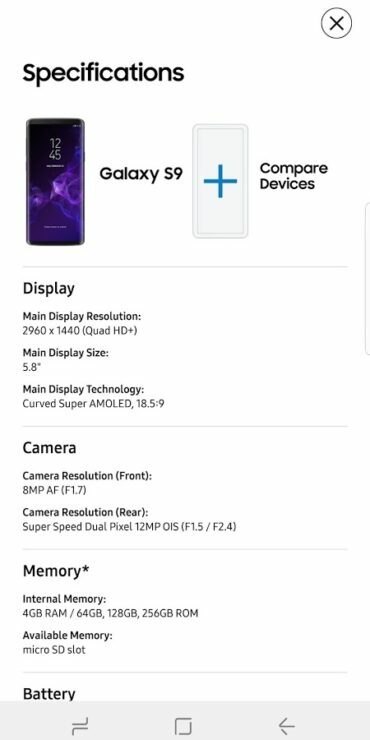 Device Specifications section gives you all the facts and figures about the S9s and lets you compare them with older Galaxy devices. The app does it’s very best to try and make it feel like you’re using one of the new phones. It has what it takes to encourage people who haven’t previously owned a Galaxy device to make the switch. However, there exists a section of people who believe that the app will somehow harness the power of a Galaxy S9 and unleash in on their phone (and leave 1-star reviews as a result). Looking at some of the comments on the Note 8 Experience App, we can expect a few, at least. If you’d like to check the app out, you can download it from the Play Store link.